If Tim Wallach goes to the Red Sox how about..
Tim Wallach will be interviewing for the manager position with the Red Sox. If Wallach leaves how about the Dodgers offering Alex Cora the third base coaching position? Other players in his position, nearing the end of a robust career and working to win a roster spot, might take a more me-first approach to Spring Training. Yet Cora has been tireless in his efforts to mentor young infielders like Jackson throughout the spring. It’s a pay-it-forward attitude that is very much appreciated by the mentees. Having a coach on the field like Cora is a good thing for any manager, and perhaps an even bigger bonus for a rookie skipper like Matheny. In the short time they’ve been together this spring, Matheny already sees a future path for the veteran, one Cora’s older brother has already taken. Cora appreciates the kind words, but he doesn’t want to dwell on his coaching bona fides just yet. Perhaps it’s something that will come down the road, but it’s clear he’s not ready to talk about career changes just yet. Is Alex Cora ready now? Wow! I thought the Oakland A’s were done but they hit a walk-off to force another game so again tomorrow we will have four game! I love baseball! Let’s play four tomorrow again! Loving the MLB PLAYOFFS! Go Reds! Beat the Giants! A three run homerun! Welcome to Hollywood! Welcome to LA Adrian! 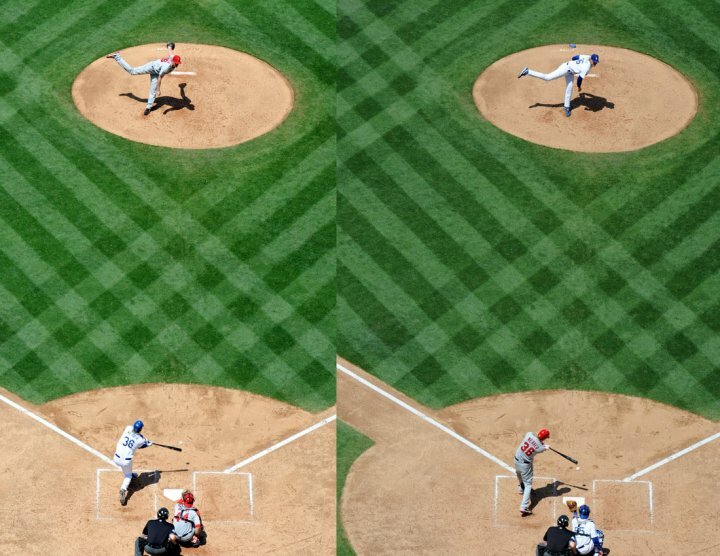 There were four BOOMS at the stadium: Giancarlo Stanton for the Marlins. Adrian Gonzalez, Mark Ellis and Andre Ethier for the Dodgers. Andre tied the LA record for Consecutive Hits of nine set by Ron Cey. Andre then broke that record with his 10 consecutive hit in the seventh inning. He tied a Dodger record set in 1919 by first baseman Ed Konetchy. In addition, Andre also was a triple short of a cycle. Mark Ellis also was short of a cycle. 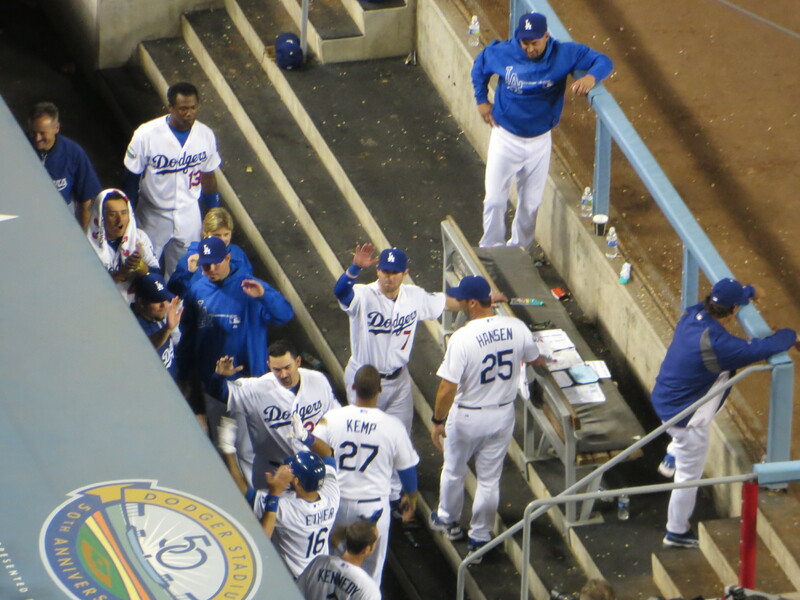 Kershaw pitched a three hitter giving up two runs and striking out eight for his 12th win. Final score: Dodgers 8, Marlins 2. VIN SCULLY WE LOVE YOU! WE LOVE YOU MORE FOR COMING BACK NEXT YEAR! Could Saturday night get any better? Well yes! Vin Scully announced that he is coming back in 2013! 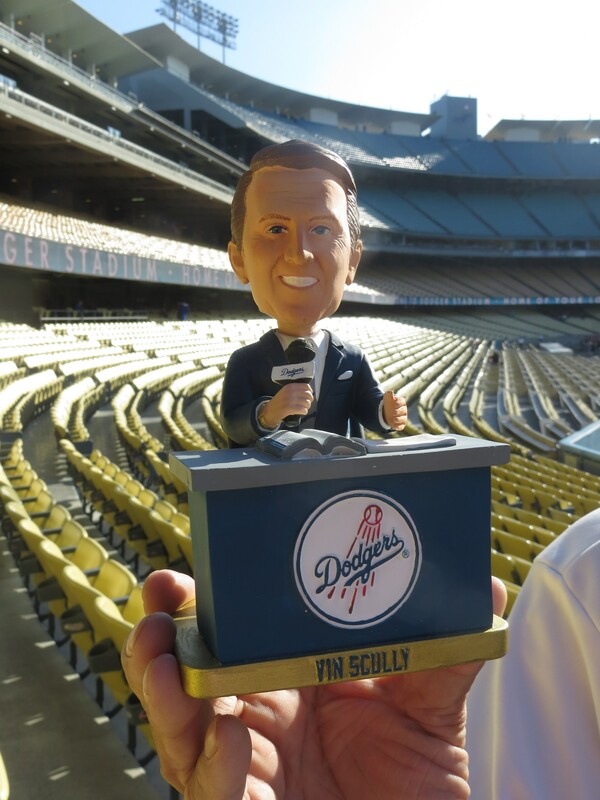 It is Vin Scully Bobblehead Thursday August 30th when the Dodgers face the Arizona D’Backs. And come 2013, the Dodgers finally will go to Yankee Stadium! The Red Sox will be coming to Dodger Stadium in August of 2013. 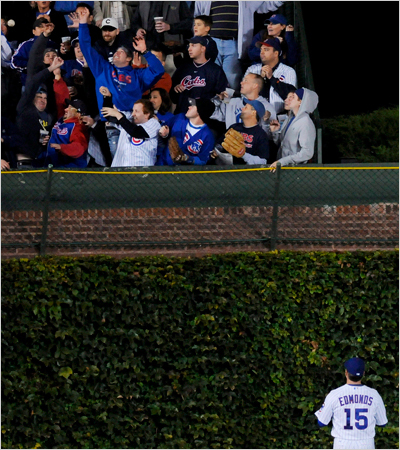 James Loney hit a grand slam off Ryan Dempster in the fifth inning. It gave the Dodgers a 4-2 lead. I was watching the first game with the Marlins from the Field level when a friend alerted me that James ‘s dad was sitting in our row in the late innings. I headed upstairs to say hello to him and wish James Loney good luck thru him. I had a little chat with him. I am not going to repeat everything he said but basically he said that James probably needed a change. Raissa is in the picture. She used to be in the Loge area where the Dodger family sit. We saw James go out on the field at the conclusion of the game to celebrate with the team the win. Afterwards his hand went to his face. Got a little emotional then. 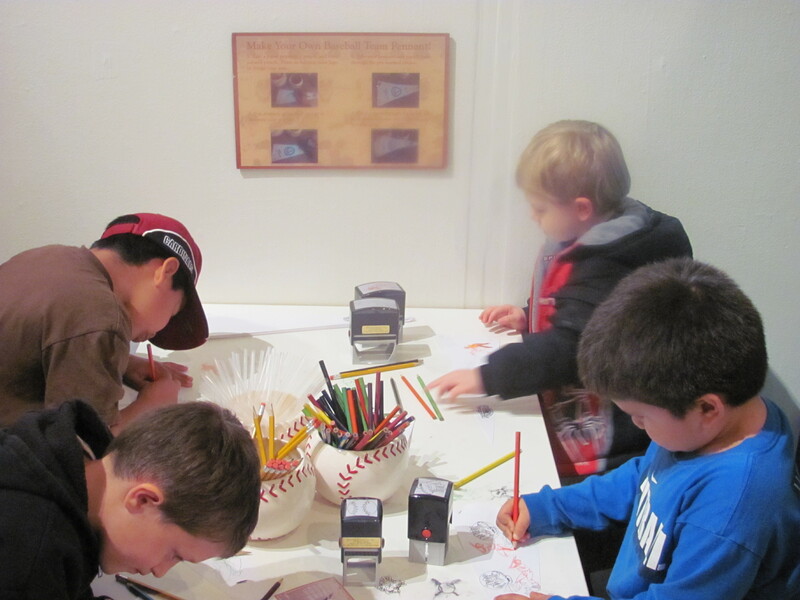 I have followed these kids careers since the minor leagues. I remember seeing James Loney at Vero Beach. When a couple of guys from the ITD (InsidetheDodgers) blog (blog is no longer being updated) came up with the Loney Song, my friend Erik and I started signing it to him at Dodger events, at Dodger Stadium, at Spring Training, on road trips. showing James a picture Lorena took of James Loney’s dad and I in Fenway Park. Farewell James, thanks for the memories and being nice to us fans. Play well, give your best! No slacking off. Thank you for your work in the community James! Be good! 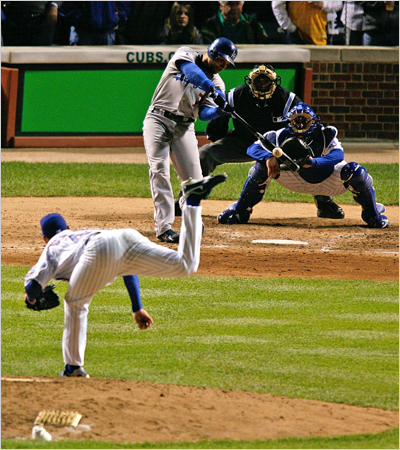 Adrian Gonzalez, Crawford, Beckett, Punto could be Dodgers! Oh My! My head is spinning with all the trade rumors and Dodgers moves. 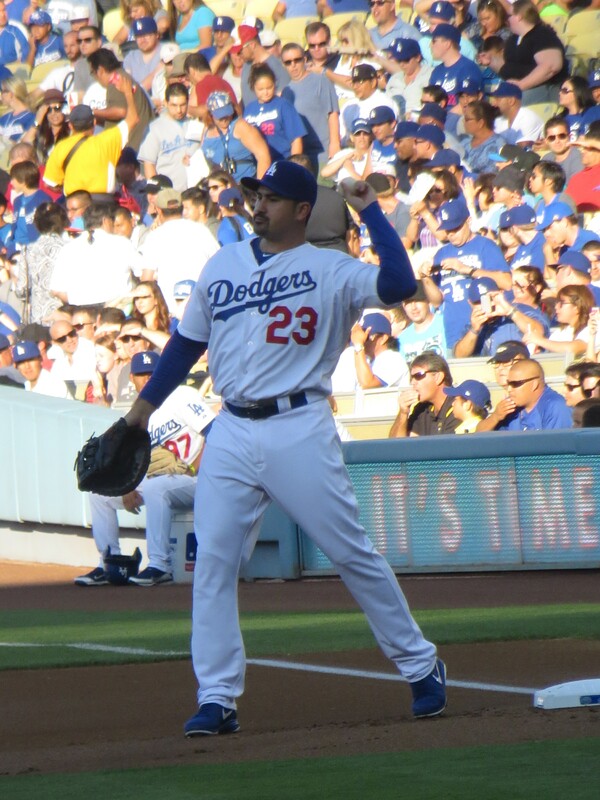 I used to love seeing Adrian Gonzalez in San Diego and was sad to see him go to the Red Sox even if he hit well against the Dodgers. Dodgers recalled outfielder/infielder Alex Castellano adn optioned Rubby De La Rose to AAA. How did the entire NL pass on claiming Rubby??? From GordonEdes: Dodgers discussed in Red Sox deal: De La Rosa, Loney, De Jesus, Sands and another top prospect. From Jaime Jarrin: David Gonzalez, father of Adrian Gonzalez is happy of the possibility of having AGon back in California if Dodgers and Red Sox come to an agreement. In the meantime the Marlins are in town. Ex-Dodger Eovaldi on the mound against Barbarroja Chad Billingsley. time to get ready to head to the Ravine. My phone has been going crazy today! It will be hard not to pick it up while I drive to the stadium as it keeps notifying me of more news. Update: James Loney scratched from the original lineup. 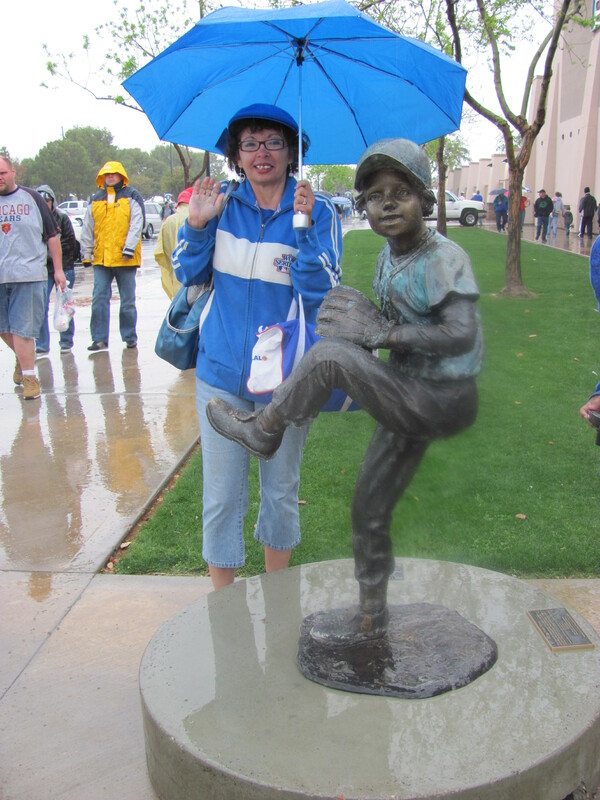 When we went to Mesa to watch the Cubs play against the Dodgers, the game got rainout. so what did we do? We headed to the American Museum of Youth (AMY) a few blocks away (Although we did not know it at the time so we took the long way there. I think we took the freeway there :-)). 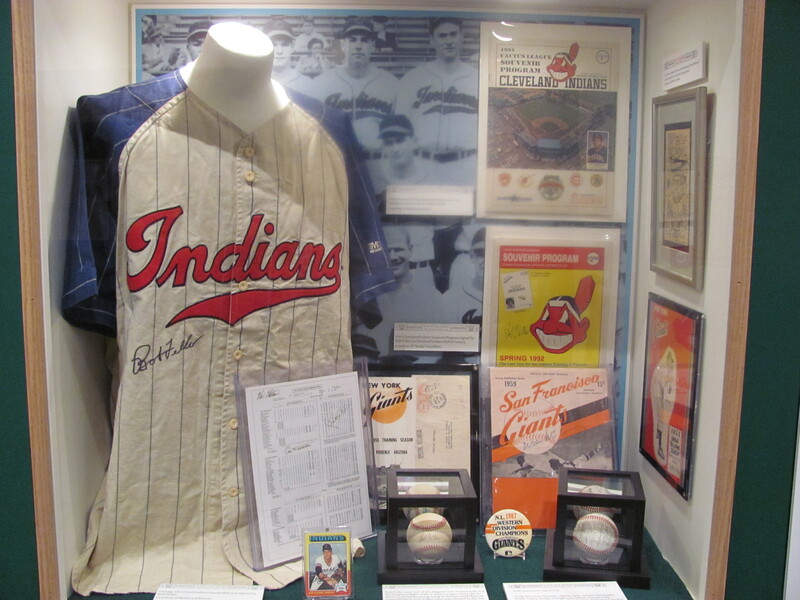 Did you know that in 1951 the New York Giants and the New York Yankees exchanged Spring Training facilities? 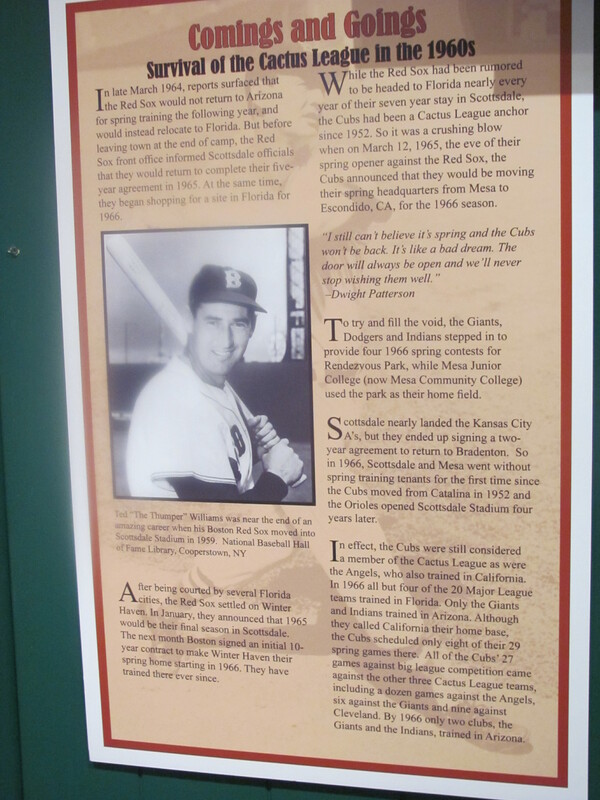 The Red Sox also played in the Cactus League. 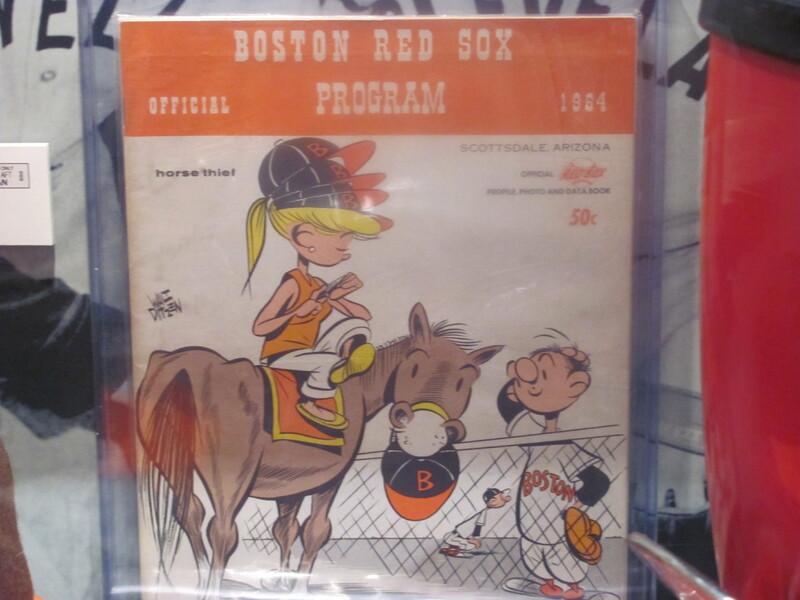 The price of the program in 1964? 50 cents. Women Softball teams in the 40’s. 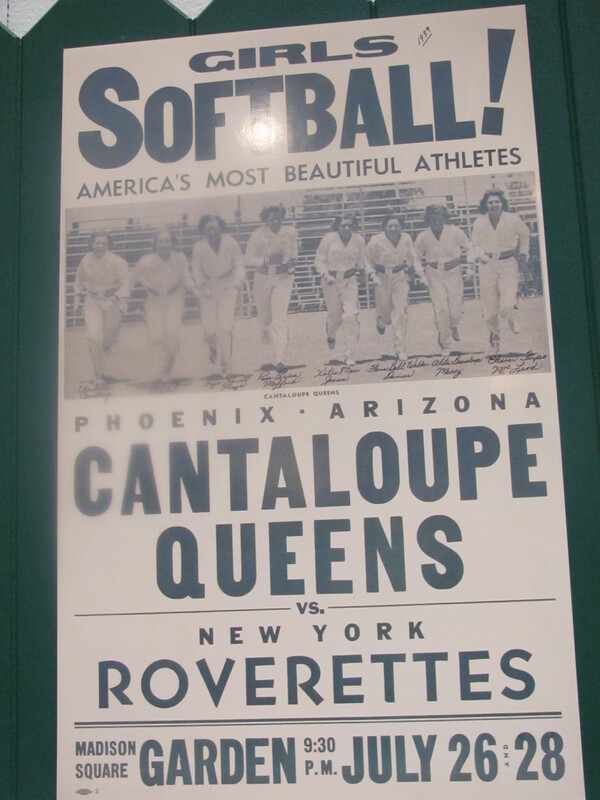 Why was this team called the Cantaloupes Queens? Because they were sponsored by a Cantaloupe growers. A young woman named Rose played with the Queens. 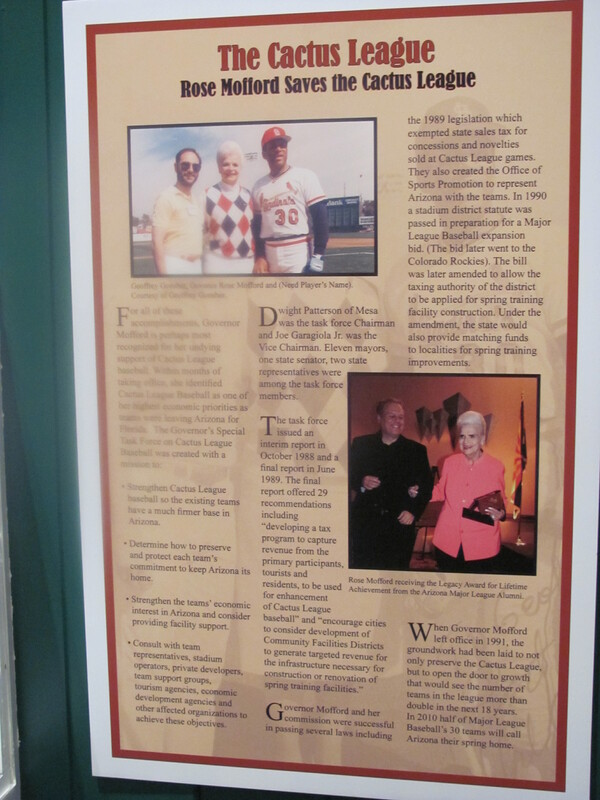 Rose Mofford later became Arizona’s governor! 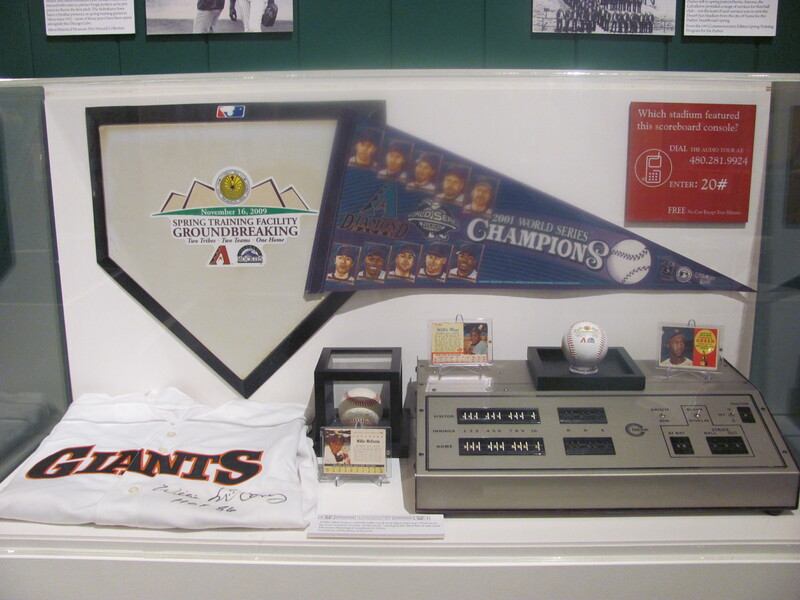 Wish I had that 1988 World Series yellow button when the Oakland A’s faced the Dodgers! 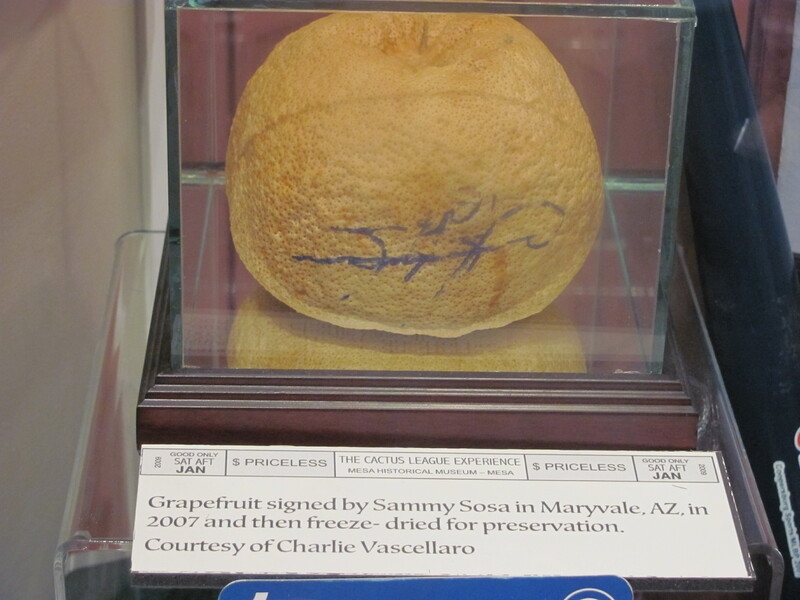 Grapefruit signed by Sammy Sosa in 2007 and then freeze dried. 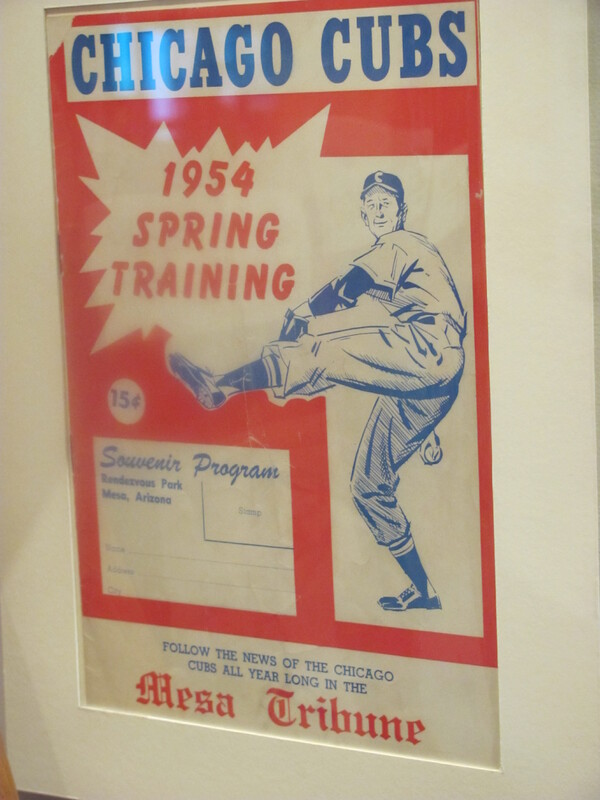 Chicago Cubs 1954 Spring Training program. Cost: 15 Cents. 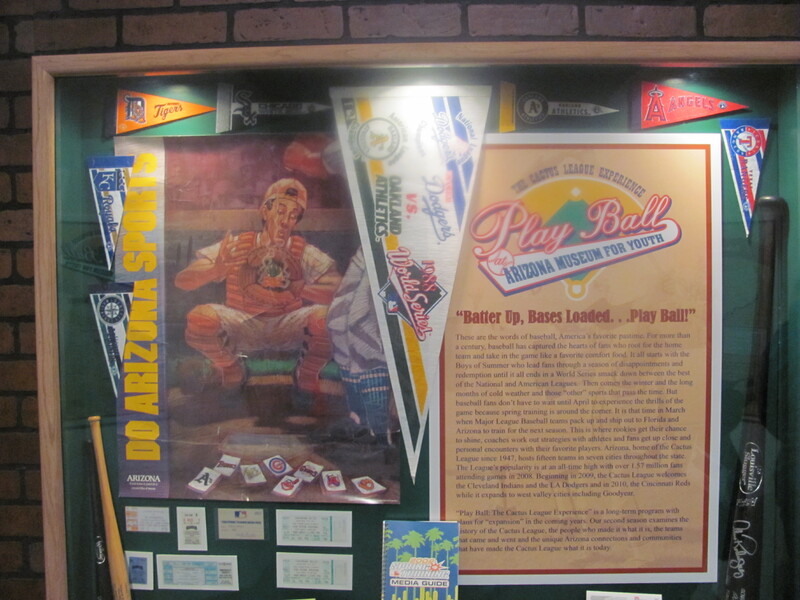 We were glad that we found this museum close to Hohokam Stadium in Mesa! 2010 Road Trip! Going to Fenway Park ! ! 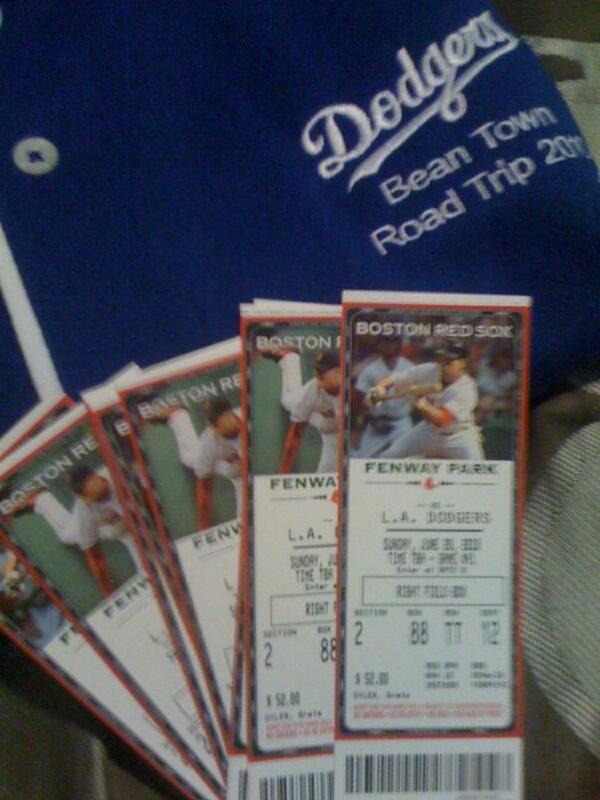 I am going to Boston to watch my beloved Dodgers!! Woohoo! 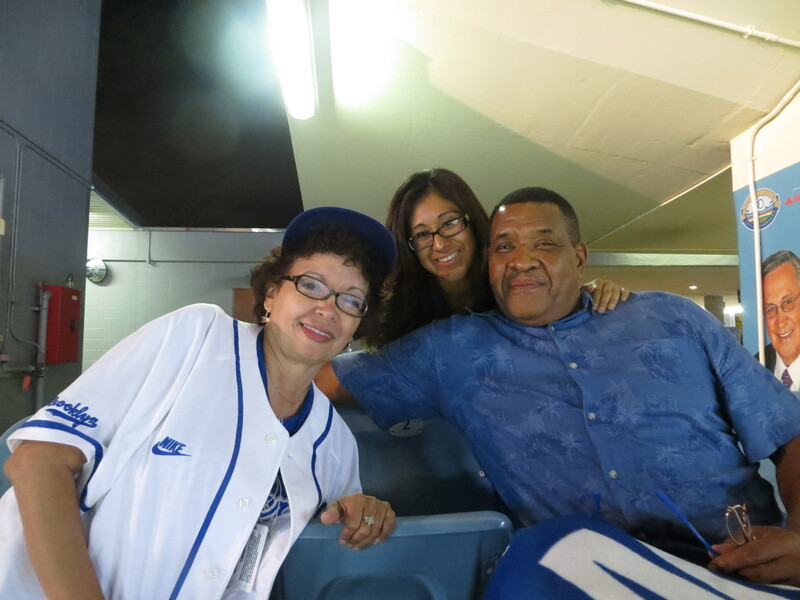 My friend LuvtheDodgers23 (Lore), her niece and I will be in Boston in mid June to cheer our beloved Dodgers! We are doing the DodgerLife event! Thanks Lore for making the arrangements. I will look into flights tonight! 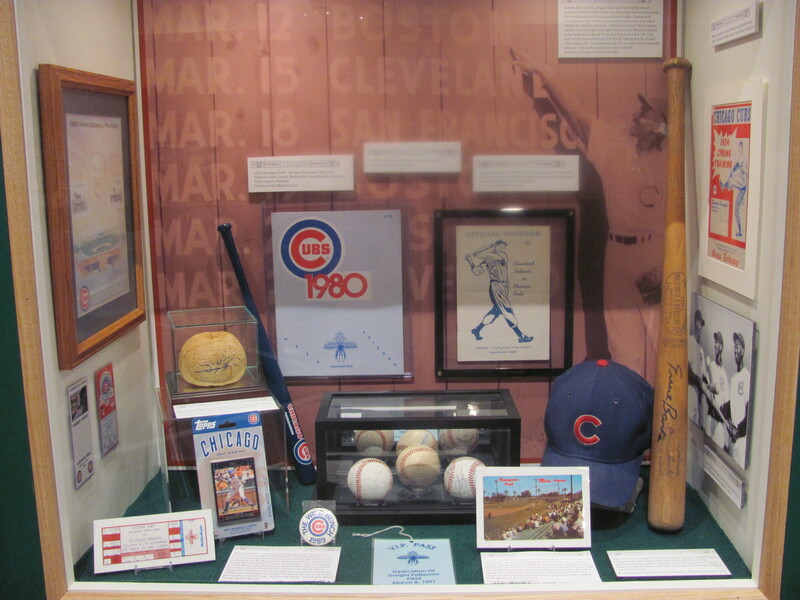 Hit the Road with the Dodgers in 2010! The package include hotel, exclusive Dodgers brunch, game tickets to all three games, a tour of Fenway Park, and a Dodgers Road Trip Polo Shirt. Funny that when I was in Toronto for a few days taking a class, I happen to catch the Red Sox at Roger Centre. Again, I made the trip by myself to catch me a game. Ok, on to look for flights.